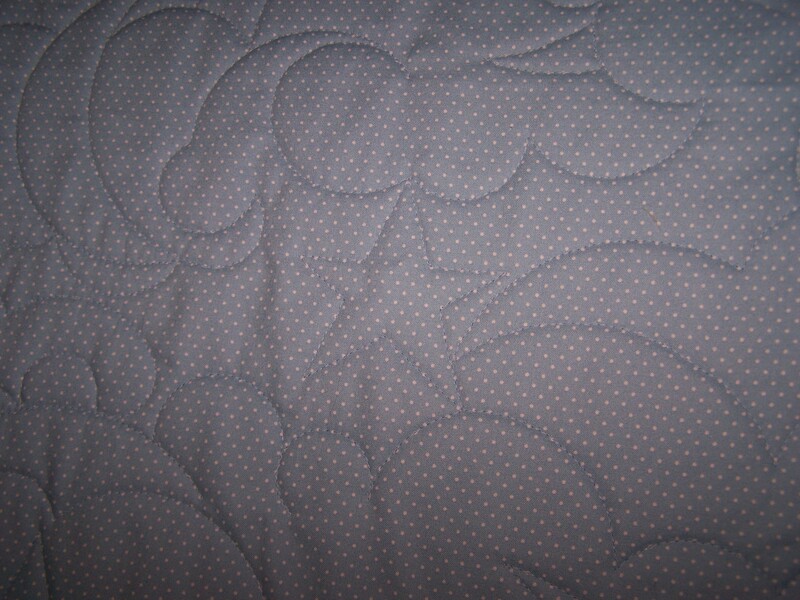 This quilt was quilted with an edge to edge pattern of stars, moons, and clouds. 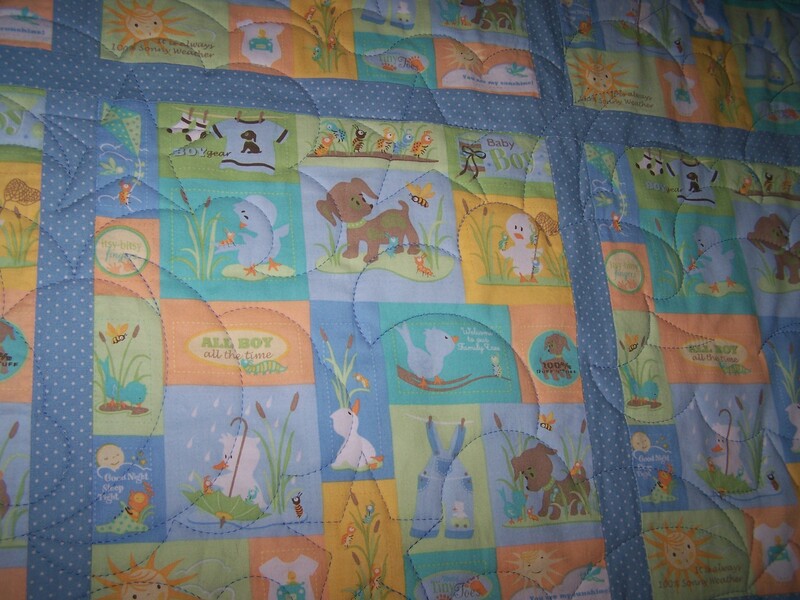 Remember ‘edge to edge’ quilt patterns quilt without regard to the quilt top patterns. 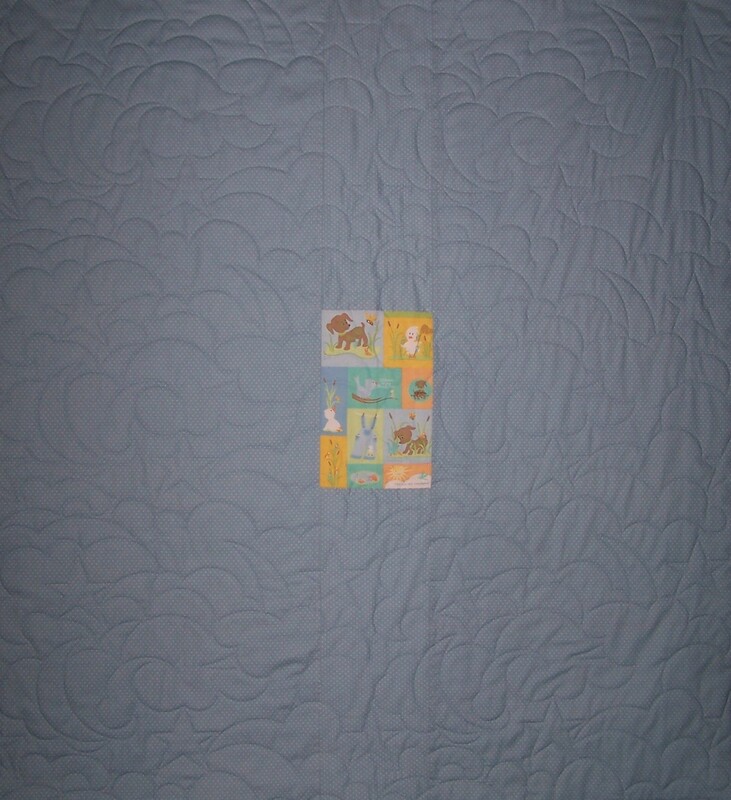 This works well for LOTS of quilt tops and is the least expensive way to get quilt tops quilted and FINISHED! CONTACT ME today for an estimate. 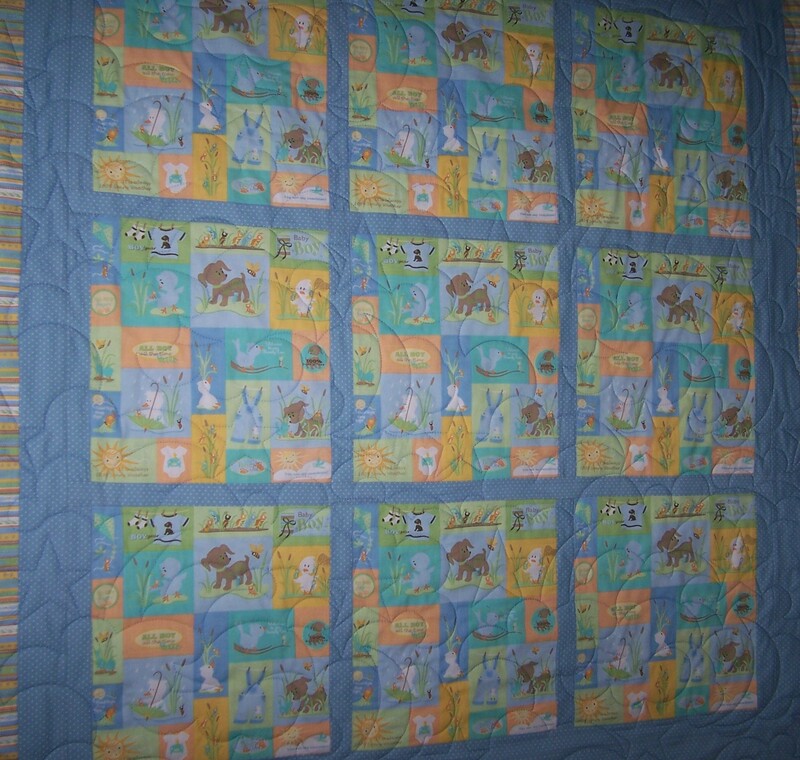 This is the back that I centered the center fabric panel to the center of the quilt top.